The town of Orleans was originally the oppidum of Cenabum of the Carnutes tribe, which had been renamed in AD 275. Its new name, Aureliani, was mangled by the Franks to become Orleans, although the Roman name still seems to have been in use - or was at least acknowledged - during the sixth century. 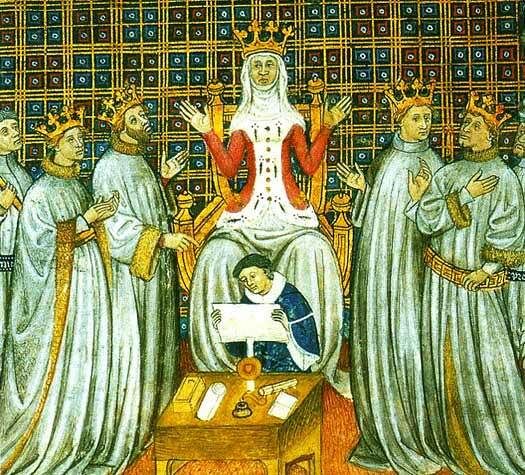 The kingdom also included the bishoprics of Tours, Poitiers, and Orleans. Second son of Clovis I. king of all Franks. Sigismund of the Burgundians had earlier assassinated the cousin of the four ruling Frankish kings. Now all of them join in an expedition against him and he is captured. The victorious Franks return home, leaving a garrison behind, but this is later massacred. Chlodomer has Sigismund and his sons assassinated on 1 May 524 and leads a second expedition against the Burgundians. He is killed at the Battle of Vézeronce. Chlodomer's three sons, Theodebald, Gunthar, and Clodoald, are entrusted to the care of his mother until his widow marries his brother, Chlothar I of Frankish Soissons. However, Chlothar has two of Chlodomer's children killed, while Clodoald escapes, later becoming abbot of Nogent (later known as St Cloud). Chlodomer's kingdom is divided between his brothers. Childebert I of Paris annexes the heart of the territory, Carnutum (Chartres, former tribal capital of the Celtic Carnutes tribe) and Aureliani (Orleans, the Cenabum of the Carnutes tribe), while Chlothar takes Turonensis (Tours, former capital of the Turones tribe) and Pictavia (Poitiers, former capital of the Pictavii). 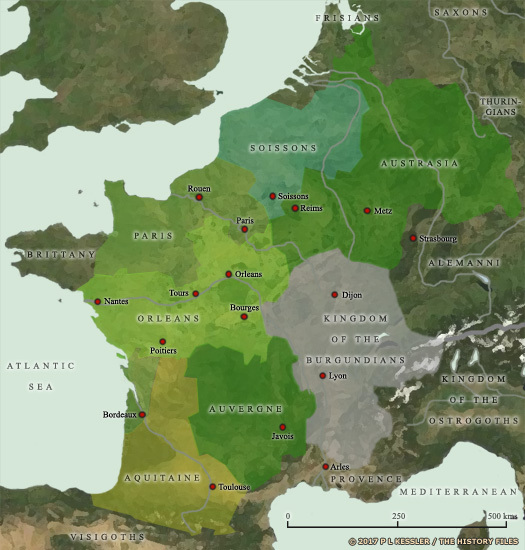 Childebert of Paris fails to produce a surviving heir before his death in 558, so the kingdom of Paris is re-absorbed into the Frankish empire for the lifetime of Chlothar I. When Clothar dies in 561, Paris has been merged with the heart of the former kingdom of Orleans to create the larger Frankish kingdom of Neustria, which is handed to one of his sons, Charibert.